Mayor Naheed Nenshi says he supports allowing legalization and development of secondary suites across Calgary. He says doing so will open up the already tight rental market. Photo courtesy of the office of the mayor. The City of Calgary defines a secondary suite as “a self-contained living space consisting of a bedroom, bathroom and kitchen located within or on the same property as a single family home.” They’re often referred to as basement suites or mother-in-law suites. Secondary suites can act as supplemented income for homeowners to help pay a mortgage or can provide a living space for a family member, for example. But according to the Calgary Homeless Foundation, those who rent secondary suites do so because they’re affordable. According to the foundation, 84 per cent of Calgarians support the development of new secondary suites and 85 per cent support the legalization of existing ones. Currently, in order to develop a legal secondary suite, the neighbourhood must be zoned to allow for them. If not, the homeowner must apply to the City of Calgary Development Authority for a new zoning permit and ensure that the building and property meet very specific requirements, such as a maximum width, separate furnaces, entrances, etc. However, worries around lack of parking, renters’ behaviours and privacy for homeowners have led to a “not in my backyard” attitude for many — particularly in older, established neighbourhoods. Neighbours can appeal the development of a secondary suite to the City of Calgary Subdivision and Appeal Board if they don’t want one in their neighbourhood or feel it should be changed somehow. If a homeowner’s application for development of a suite is denied by the Development Authority, they can also file an appeal to the board. Since he was first elected in 2010, Mayor Naheed Nenshi has been trying to calm Calgarians’ fears around allowing legal secondary suites across the city to open up the tight rental market to more affordable housing. The goal to allow secondary suites in all Calgary neighbourhoods has been at the top of the mayor’s list of 12 better ideas for Calgary since his first campaign. Mayor Nenshi argues this will provide more affordable housing for all Calgarians, helping to open the rental market, reduce Calgary’s high cost of living, decrease the number of homeless and help the economy grow. The mayor believes Calgary has 30,000 to 50,000 illegal suites. He says that legalizing suites across the city would make them safer for residents, as they would be more closely regulated. Currently, the City only investigates illegal secondary suites when a complaint is filed. Even though the mayor has been unsuccessful so far in winning over the majority vote in council to change the Land Use Bylaw to allow secondary suites across the city, he has made some strides on the issue. All new communities, such as Auburn Bay in S.E. Calgary, are now zoned for secondary suites. The approval time for development of a secondary suite in neighbourhoods already zoned for them has been brought down to 20 days from 100, according to the mayor’s website. However, getting approval is still difficult, especially since the majority of Calgary neighbourhoods aren’t zoned for secondary suites. Building codes and land use laws also add to the difficulties. However, some argue that there needs to be conditions in place regarding where and how secondary suites are built. Ward 4 Coun. Sean Chu, for example, says he supports them only if the homeowner gets approval from neighbours and the suites meet safety codes. Another common argument is that that they should only be legalized in high density neighbourhoods, like those nearby LRT stations and post-secondary institutions. 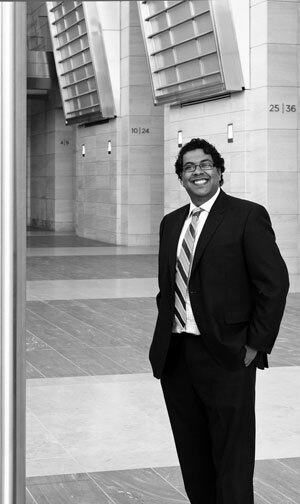 The Calgary Journal caught up with Mayor Naheed Nenshi on Feb. 24 at City Hall to talk about where the secondary suite issue is headed. NN: We’ve got a new report coming out either this summer or early this fall, which is going to look at the issue of affordable housing more broadly. And I’m hopeful that there will be some recommendations in there around secondary suites that council will have to face. CJ: What does affordable housing mean to you? NN: Well quite bluntly, everyone in the city should have a safe and a decent place to live. And the problem we have right now is that the supply of rental housing and entry-level housing has not kept pace with the demand. As a result, a lot of folks find that they can’t afford to live in rental accommodation because there’s not enough of it. Because of that, you get more and more people seeking subsidized housing and there’s a ripple effect throughout the whole system. People who are homeless can’t get into affordable housing; people who are in affordable housing can’t graduate to market-level (rental) housing; people who should be in market-level housing are looking for government subsidized housing. The whole thing needs to be cleared up with that basic principle that everyone deserves a safe, decent place to live. CJ: Why has there been such a standstill in council on the issue of secondary suites? NN: Pure politics. The system we have right now is broken — it’s unfair, it’s immoral and it’s unethical. But a lot of folks, a lot of politicians and people on council, have a lot of trouble seeing beyond the idea that somehow allowing secondary suites — which exist anyway — to be regulated, will somehow change the nature of existing communities. Council really has to get over the politics and really has to think hard about making solutions here because the situation we have right now is ridiculous. CJ: What do you say to some people who say secondary suites don’t fit the culture of their community? NN: They’re in every single community today. We know they’re in every single community today. Many of the arguments against secondary suites are in fact arguments against renters. But here’s the thing, I could rent my house tomorrow to the university fraternity and that’s totally legal. So why is it illegal for me to rent out a room that has its own kitchen? It’s completely illogical. We have to make sure that every neighbourhood is welcoming to everyone.